Gastroenterologists receive unique training allowing them to provide comprehensive care for patients suffering from a wide range of gastrointestinal conditions. Gastroenterologists perform research gathered from gastrointestinal endoscopic procedures and are experts in their field. This specialized training prepares Gastroenterologists to perform comprehensive colonoscopy examinations and consultative services with greater expertise in comparison with other physicians. 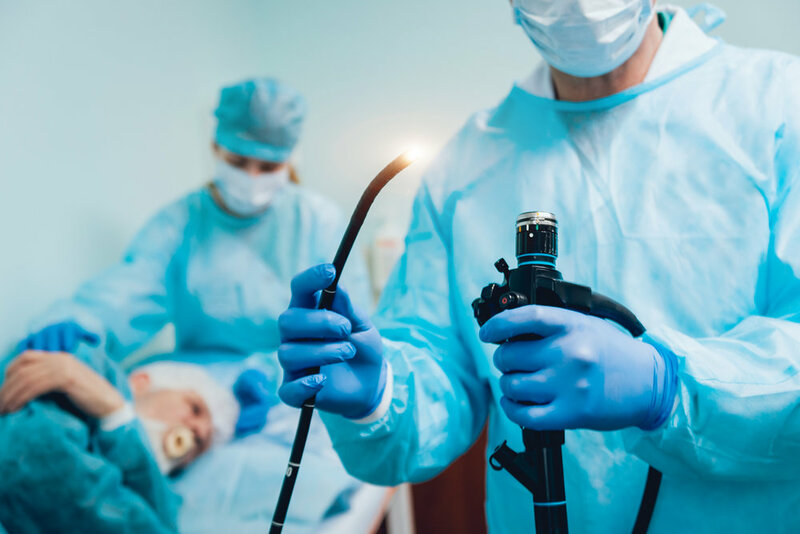 Gastroenterologists accurately detect polyps and cancer through colonoscopy examinations and are experts in administering necessary procedures for their patients. Dr. Rosenberg offers expert care and cutting-edge treatments for patients with Crohn’s Disease, Irritable Bowel Syndrome, ulcers, and other stomach and intestinal ailments. General screenings for colon cancer are also available. An upper endoscopyis a procedure used to visually examine your upper digestive system with a tiny camera on the end of a long, flexible tube. What should I see a gastroenterologist for? In case you are wondering what a gastroenterology specialist does, we’ve listed out the areas these professionals can help you with. Can your stomach pain be a sign of peptic ulcers? Treatment for peptic ulcers may be more simple than you think. Colonoscopy is a medical procedure that allows the gastroenterologist to examine the inside walls of your large intestine. The colonoscope is a long tube with a small camera attached to its end. What you need to know about Irritable Bowel Syndrome and how to stop it from affecting your life. For a lot of people, abdominal pain and discomfort happens quite regularly and might have a negative impact on day-to-day life. It's always an honor to donate my time and expertise to the ALAPIO.org Free Surgeries Program.